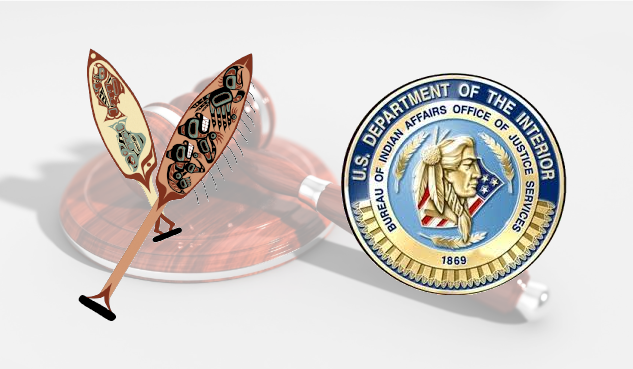 The Yakutat Tlingit Tribe was awarded a grant in the amount of $552,110.67 by the Bureau of Indian Affairs – Office of Justice Services, through the Tribal Justice Support Directorate which is committed to providing guidance, technical support, and advisory services to Tribal Courts and Courts of Indian Offenses. This recent development is a critical first step in establishing a Tribal Court in Yakutat. As previously published in YTT’s Winter 2018 Newsletter, members of the YTT Tribal Council and Executive Director Nathan Moulton met with the Office of Justice Programs during BIA providers meeting on November 29th, 2018 to discuss funding opportunities and details about court assessment. It was reported that BIA’s assessment contractors are substantially backlogged and Yakutat is currently in queue for the assessment sometime in 2020. However, that did not preclude our Tribal Council and Executive Director from requesting funding for planning purposes in the fiscal year 2019. On December 31, 2018, YTT Executive Director Nathan Moulton with the gracious assistance from Judge Demmert, Judge O’Gara, and Frances Andrews at Tlingit Haida Tribal Courts, submitted a funding request to Tricia Tingle at the Office of Justice Support. On January 23, 2019, the Yakutat Tlingit Tribe received a grant approval from the BIA – Office of Justice Services awarding YTT a total of Five Hundred Fifty-Two Thousand One Hundred Ten and 67/100 Dollars ($552,110.67) which includes two related funding sources, TAWAHEE and BIA Tribal Courts. This sum will allow the Yakutat Tlingit Tribe to hire for four (4) new full-time positions which are: Court Clerk/Records Specialist, ICWA Case Manager, Guardian Ad Litem, and Defender/Presenter. We are anticipating to start the hiring process approximately two months from now. This will serve as a great opportunity for the Tribe to provide employment opportunities and prioritize local hiring. Legal profession positions such as the Guardian Ad Litem and Defender/Presenter will be advertised locally but if no qualified candidates can be sourced locally, YTT plans to contract with Tlingit and Haida Tribal Courts in our endless endeavor to strengthen Tribal partnerships. Supplies, equipment, and travel and training were also considered during the grant writing process and thus will be provided for with every position hired in the near future. The Yakutat Tlingit Tribe have also recently received an award through Office for Victims of Crime (OVC)’s Crime Victim Set-Aside Program and will associate this grant with the Tribal Court funding. Establishing a Tribal Court in Yakutat may seem like a tall task, but we have all hands on deck and are very well prepared for more work to be done. The Tribe believes that a local Tribal Court that is victim-centered and focused on healing is very much needed in Yakutat. Healing circles, diversion programs, and justice based on local customs and tradition is an interest from Tribal leadership. We believe that this approach leads to better outcomes of healing for both victims and perpetrators.